Up until the end of the 19th century, the southern part of the isthmus formed by the city of Las Palmas de Gran Canaria was covered by magnificent sand dunes. These dunes stretched as far as the entrance to the old city of Las Palmas. Nowadays, uncontrolled urban development has caused this small desert to disappear. Its beauty and its biodiversity are sadly missed by many. The sand from the dunes of Guanarteme stretched as far as Las Canteras beach (formerly known as Arrecife beach) carried there by the sea currents. The influence of the trade winds, which are common in this area, took the sand both towards the south of the isthmus and across it to Las Alcaravaneras beach. 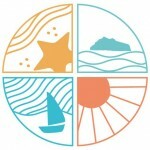 In those years, there were no obstacles to stop the natural movement of the sand from one part of the isthmus to another. This vast, moveable complex of dunes was a concern to the whole population of Gran Canaria, because the movement of the sand often buried the crops planted in the fertile lowland of Santa Catalina and even as far away as Triana. This situation caused a lot of anxiety for the farmers in those years and prevented the city from developing northwards. 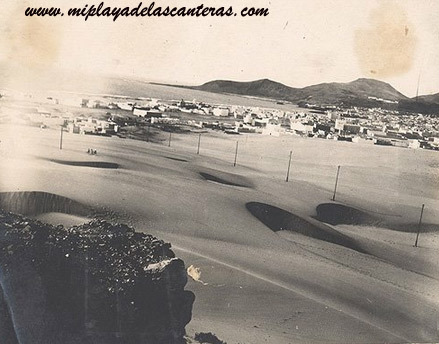 On more than one occasion, the road which connected the city of Las Palmas to the rapidly expanding Puerto de La Luz suffered the unstoppable progress of the dunes, becoming buried under the sand. The dunes of Guanarteme maintained all their splendour until the end of the 19th century. From that time, the advance of the city and the port gradually damaged the sand dunes. Unfortunately, now there are no remains of this amazing natural phenomenon which was so important for the Canaries both because of its endemic coastal flora and fauna and its effect on the global system of sand movement caused by the sea and the wind in the eastern islands. Fernando Martín Galán: “Las Palmas Ciudad y Puerto” Cinco siglos de evolución. Next article Listado de alumnos de 2º curso del 2008 de la Facultad de Traducción e Interpretación de la ULPGC que han traducido los últimos reportajes de esta web al ingles.